Heavy duty quality casting, main body 1 piece construction. Main column tube thick walled giving greater rigidity. Efficient and smooth V belt drive system with adjustable spindle speeds. Micro safety switch fitted to pulley guard to ensure “non start “ when changing spindle speeds. Belt tensioning lever quick action type. Work table slotted in base to allow rigid mounting of work. Left and right tilt work table, rotation to 45% with gauge. 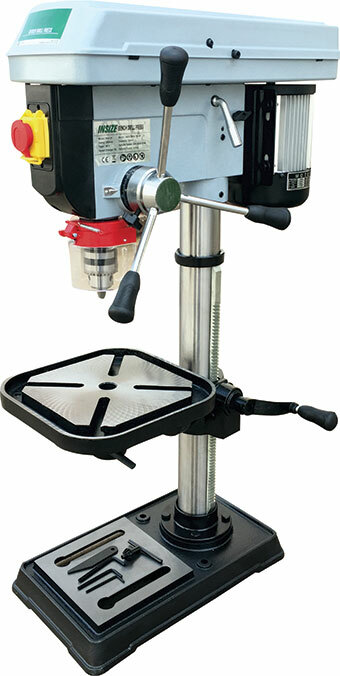 Heavy duty rack and pinion work table height adjustment with locking lever. Industrial duty 1 piece cast-iron drilling lever with depth stop. 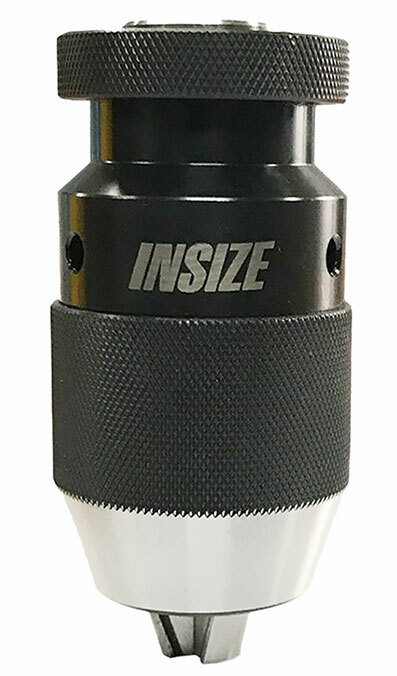 Safety drilling chuck guard, adjustable with flip up screen. No Voltage Release Safety Switch. Quality copper wound 240 volt fan cooled, aluminium finned electric motor.